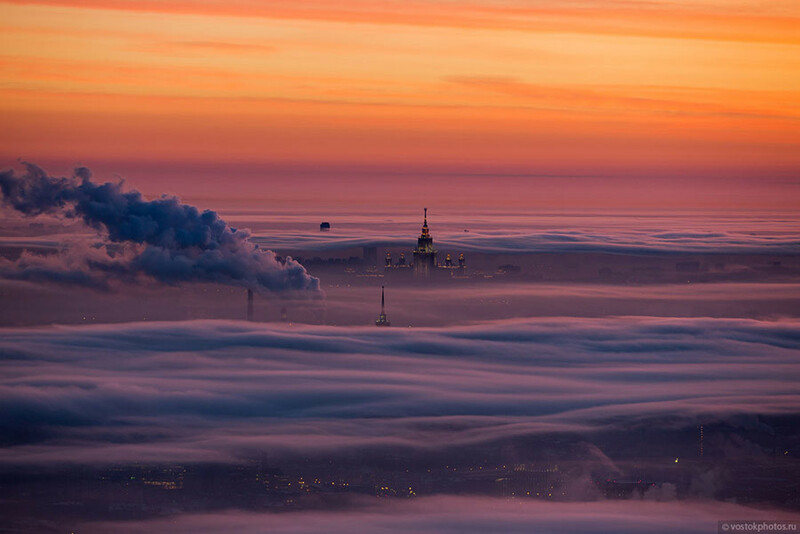 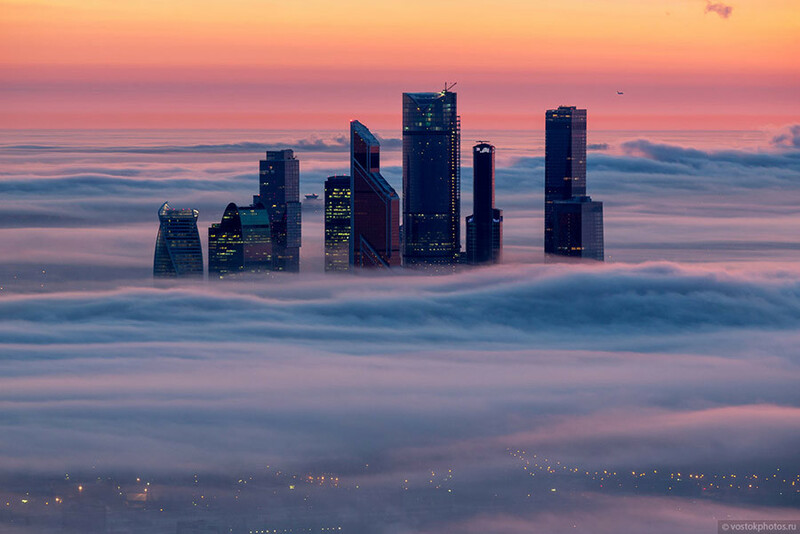 A Moscow photographer braved the biting cold to go up to a frozen platform 340 meters in the sky to shoot breathtaking dawn photos of the Russian capital. 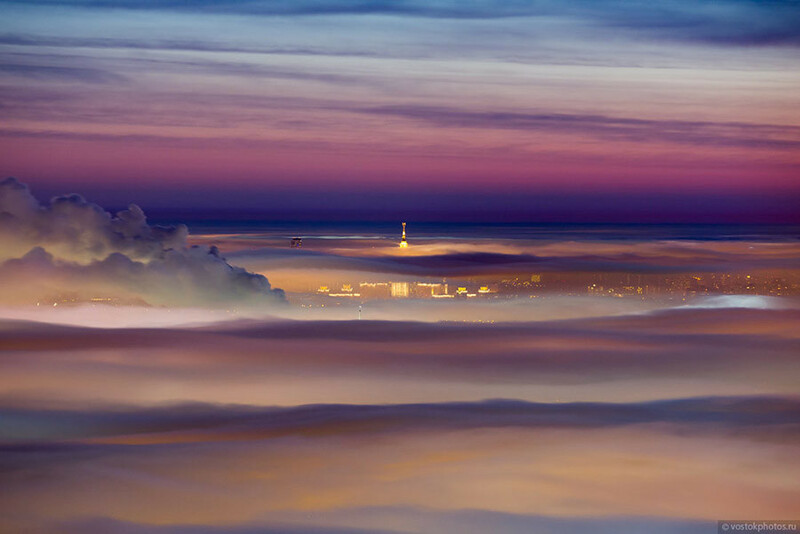 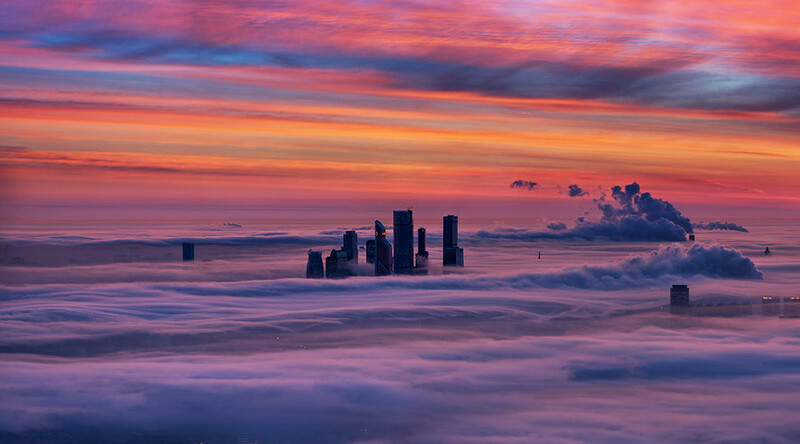 Well-known urban photographer and explorer Dmitriy Chistoprudov explained that he waited for very specific weather to be able to capture the images. 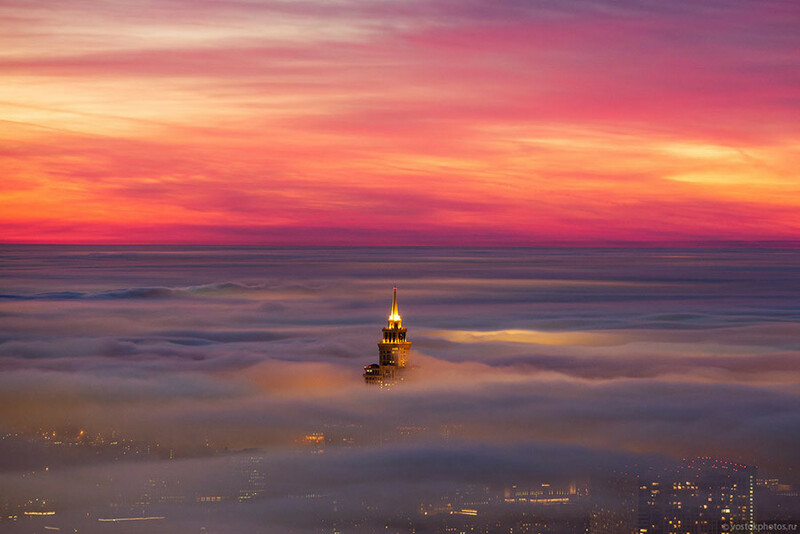 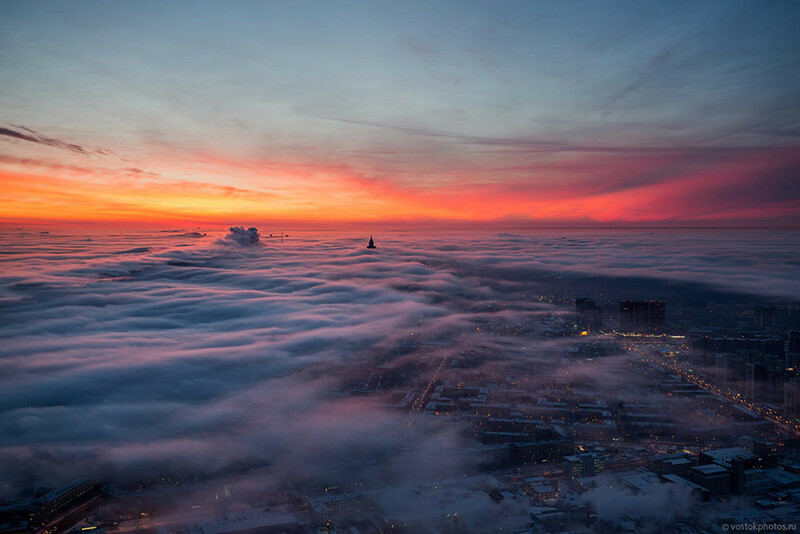 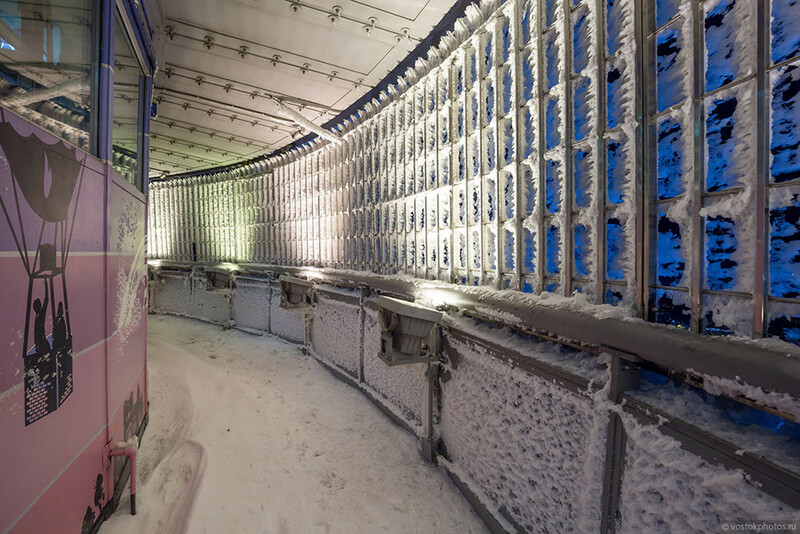 The highest spot available to the public in the city is the observation deck of the Ostankino Tower, the landmark TV mast just outside the central Moscow, located 340 meters above ground level. 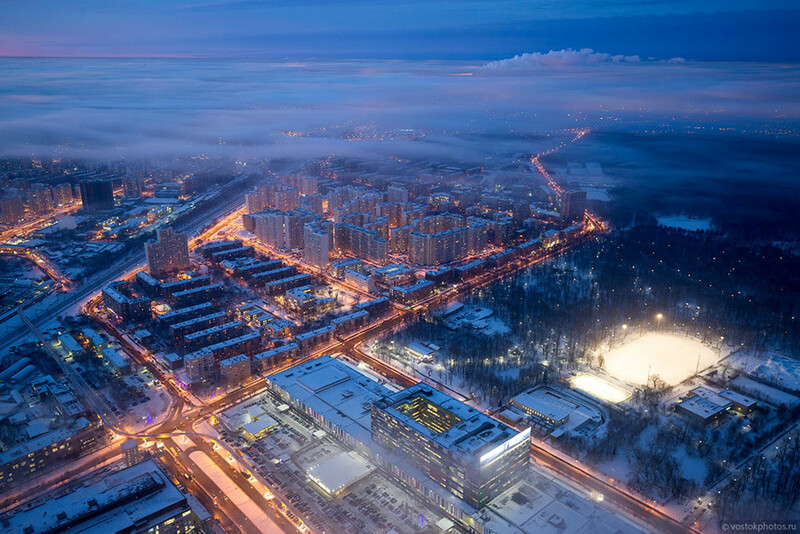 Chistoprudov was able to arrange exclusive access before the official opening hours, but this was only the start of his travails.